What is the Former Rain and the Latter Rain? In agriculture, the moisture or rain that softens the soil to allow germination of the seed is equivalent to the former rain. The latter rain is showers that come just before the harvest. It’s the rain that causes the fruit to be the most ripe, with an abundance of ripe fruit in the field. In The Holy Bible, the former rain is when THE HOLY SPIRIT begins to germinate the seed in the very elect, which brings them to the knowledge of who they are and results in the very elect to seek and understand GOD’S WORD. They are Blessed with eyes to see and ears to hear. At the time just prior to the end of the age known as the latter days, GOD’S very elect will receive the latter rain. The latter rain is when THE HOLY SPIRIT causes GOD’S very elect to gain extensive knowledge of GOD’S WORD as they prepare and perform their duties at the end time. 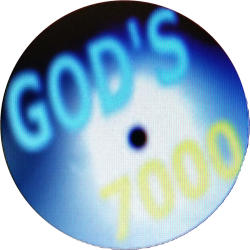 The most important function of GOD’S very elect (GOD’S 7000) is to be delivered up to satan for a testimony against him. 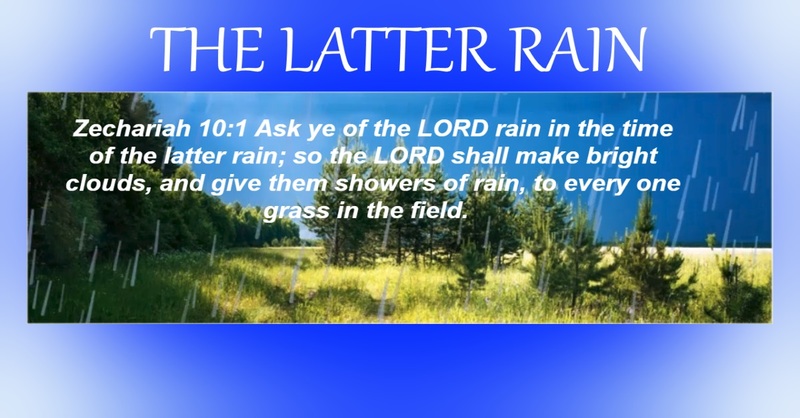 Zechariah 10:1 Ask ye of the LORD rain in the time of the latter rain; so the LORD shall make bright clouds, H2385 and give them showers of rain, to every one grass in the field. From an unused root meaning to glare; a flash of lightning: bright cloud, lightning. When there is a thunderstorm, lightning causes the release of nitrogen into the air. The nitrogen fertilizes the grass. That is why you will often notice that the grass is much more lush and green after a thunderstorm. The green grass is symbolic of GOD’S WORD for the sheep that hear HIS Voice. It is for HIS sheep that have eyes to see and ears to hear. The bright clouds are the thunder clouds that make the lightning, which is symbolic of THE HOLY SPIRIT, which causes the mind to be fertile in growing the knowledge of GOD’S WORD.